Founded in the ninth century, although the cultural town of Fez is no longer the capital of the nation, Fez is still considered the capital of traditional Moroccan culture. 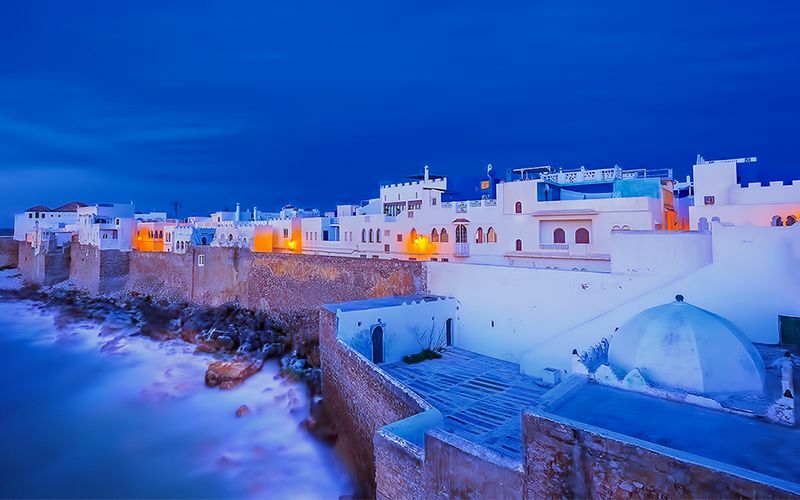 This amazing city offers a wide variety of experiences for the traveler to enjoy, from the oldest university in the world, the University of Al-Karaouine, to the Imperial’s city’s “old town,” a UNESCO World Heritage site. 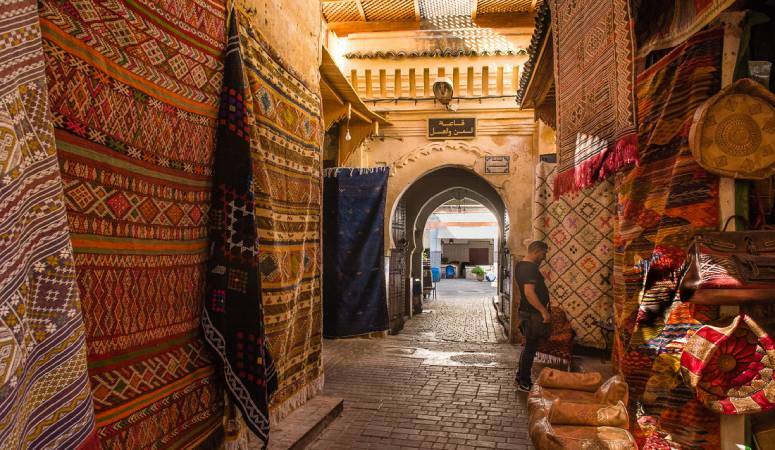 Fez is one of the top tourist destinations in Morocco, located in the northeast region between the Riff and the Middle Atlas mountains with a wealth of treasures just waiting to be discovered. Experience the rhythm of everyday Fassi life and get lost among the wonders as you explore the highlights of this ancient city. 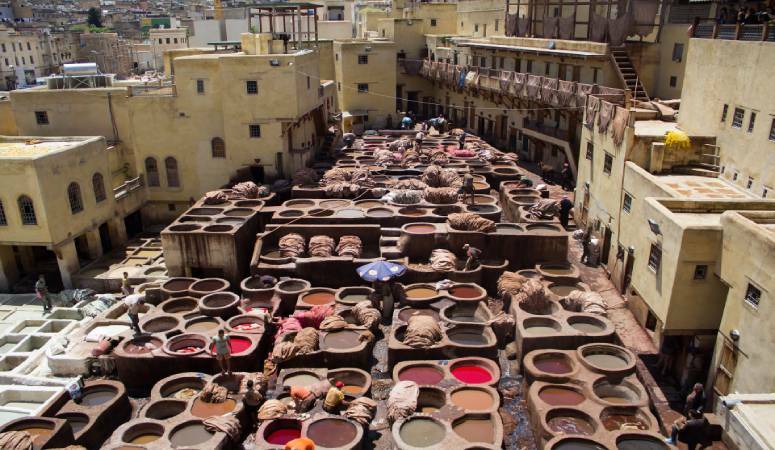 The Medina, or old town, is known as Fes el-Bali, and this is the biggest attraction in Fez. With an incredible wealth of local artisans and craftsmen, this magical world is teeming with life and feels like a trip back in time to the Middle Ages. While you may find pack mules making their way up the winding, narrow alley ways, you won’t find any cars. This is the way to experience the traditional life and take a break from the hectic modern world. View the medieval buildings and feel the rhythm of everyday life by exploring the labyrinth of small narrow streets, discovering something new and exciting on every corner. From old palaces to a royal garden, an artisan’s workshop, a great number of mosques, a souk or mausoleum, Fez is a wonderful city to get lost in. In 1981, Fes el Bali was designated as a UNESCO World Heritage Site. During its peak period in the 13th and 14th centuries, the Imperial city replaced Marrakech as the kingdom’s capital. The principal monuments that are found in the medina, including madrasas, palaces, fountains and fondouks, date from this time. 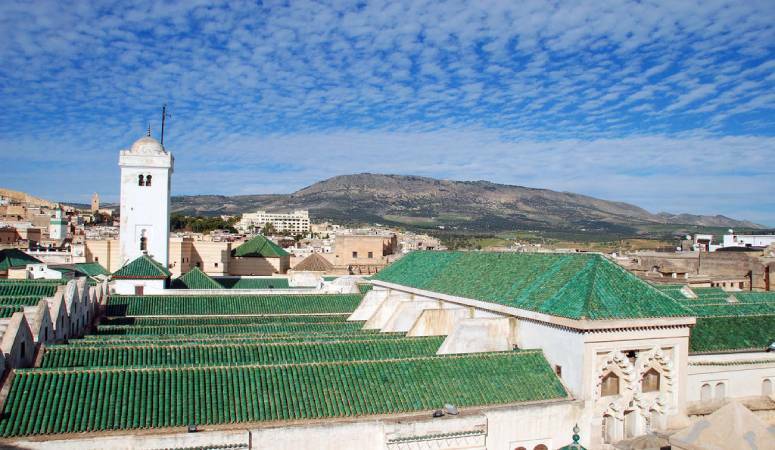 While the political capital of Morocco is now Rabat, Fez is the country’s true spiritual and cultural center. With the one million people that call this city home, twenty percent live in the medina. UNESCO listed Fes el Bali as a World Heritage Site in 1981. The world’s oldest university is said to date back to 859, and was founded by a rich Tunisian woman. 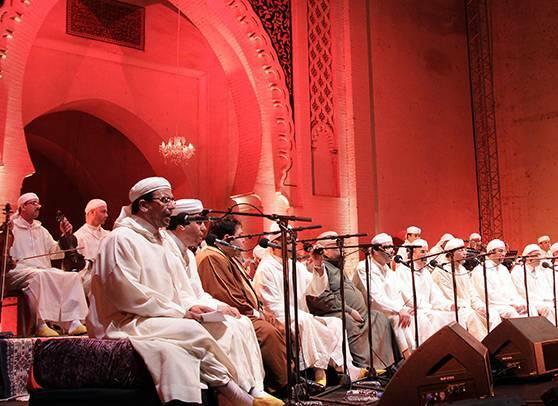 The institution is even listed in the Guinness Book of World Records as the oldest continuously operating academic degree-granting university in the world, and it is still considered one of the leading spiritual and educational centers of the Muslim world. It is well worth the visit to feel the history and sense the stories of the many people who have walked the university’s halls over the centuries.